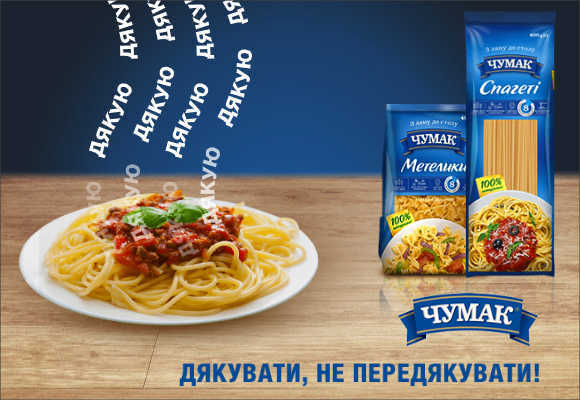 The leader of Ukrainian pasta market – pasta Chumak – has changed its "look". The new packs have become more vivid and informative with the list of advantages and information about a wide range of pasta sauces: with the thick texture, vibrant red color, and piquant flavor. Our delicious tasting pasta is 100% natural and made from the best wheat varieties. It retains excellent shape and does not coalesce after cooking. Chumak pasta sauces go perfectly with your favorite pasta dishes.